Wellness is a popular term now and can be used many different ways. At Erin Mills Optimum Health we consider wellness to be a state of mind or attitude that involves incorporating habits and actions that will lead you towards greater physical, emotional, and spiritual health. Take responsibility for your health. Acknowledge that you are ultimately responsible for your own well-being and that you allow yourself to be a priority in your life. Be committed to your health and life goals. Get educated on ways to increase your health. Focus on prevention. Don’t only do healthy behaviour when you run into a health crisis or when you are injured. Create good habits that will support your body towards better health and stop the bad habits that pull you towards ill-health. These can include sleep schedules, healthy eating and snacking, exercise routines, sitting postures, and getting regular Chiropractic adjustments. Have a proactive approach to health. Identify areas in your life which can be better for yourself and your family, and act on them. Learn what challenges your ancestors had to experience in their health or other people in your profession. Due to current research in genetics that has grown towards epigenetics, we know that if you have similar lifestyle factors as your ancestors you will run into similar health problems. However, if you develop a wellness attitude and positive lifestyle factors, you have less chance of running into the same problems.Essentially, you are not at the will of your genes! Listen to your body. Your body speaks to you, but you have to listen. With regular Chiropractic care we find that patients get a better understanding of what their bodies are saying to them. Better body awareness is very important when living a wellness lifestyle. “We conceptualize wellness as the generalized self perception of health. From this perspective, wellness is distinct from health-ill-ness; an individual can deem themselves to be in an acceptable state of wellness whether they experience suboptimal ‘health’ in any given domain or area of functioning” – Schuster, Dobson, Jaregui, and Blanks. Wellness Lifestyles. A theoretical framework linking wellness, health lifestyles, and complimentary and alternative medicine. Epstein DM1, Senzon SA, Lemberger D.
We see this often with our patients as we care for them and their families throughout a lifetime. Differing health challenges come throughout time and as a Chiropractor it is essential we help them patient to grow stronger through the experience of disease or injury. Having a wellness mindset allows us to see patients heal through their injuries and to grow beyond. I look forward to helping you develop a wellness attitude and to help you improve your life physically, emotionally, and spiritually. Why Not Take Control of Your Life Towards Wellness? Chiropractic can help! At Erin Mills Optimum Health in Mississauga all the Doctors and staff are focused on natural health and your overall wellness to live your fullest life possible. As someone who was introduced to Chiropractic treatments in my early 20’s it was the jumping off point to my holistic and natural health approach to my overall wellness. Since starting a family of my own I couldn’t imagine not having my son adjusted by one of our four child Chiropractors four days after his birth. Labour isn’t just work for the mom, but for the baby as well. My husband and I wanted to give him the best start possible and since seeing the Chiropractors we have been able to keep on top of his developmental milestones and help him to grow and thrive. 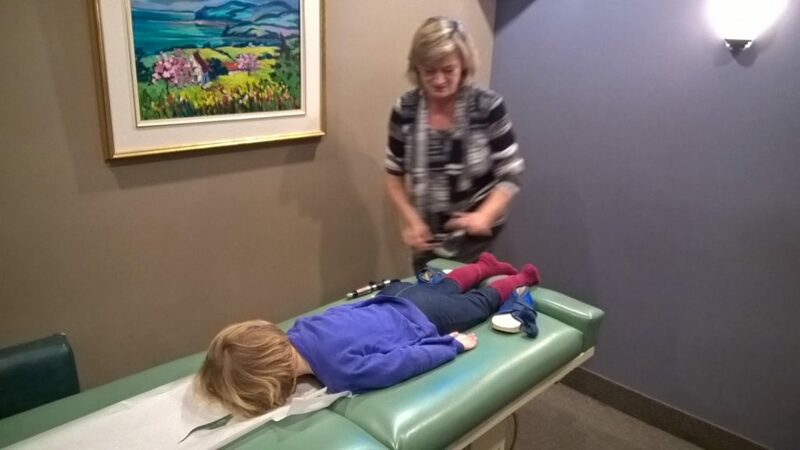 Child Chiropractors have been trained to work with babies from birth and we are very fortunate at Erin Mills Optimum Health that we have four pediatric Chiropractors. It has been amazing watching my son after an adjustment and seeing him thrive once he has been aligned. Those were the words coming out of my daughters mouth today as we walked to the park. This made me smile! I am a Naturopathic Doctor in Mississauga and my daughter had been dragging her little self around for the past month with a cold and cough. 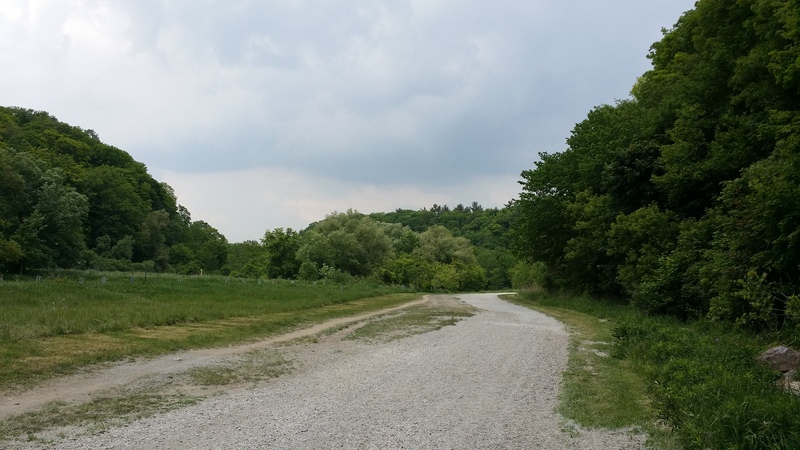 I had been giving her lots of teas, herbal baths, bone Broths, warming socks- all of these naturopathic goodies were helping, but her energy still wasn’t where it normally is. Then the amazing Dr. Cote suggested I bring my kids in for an adjustment- something that I had totally forgotten about! 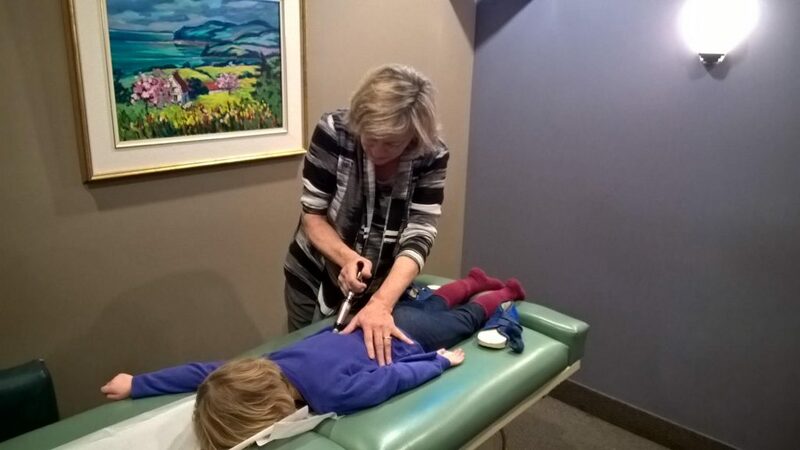 Dr. Cote is one of our Mississauga Chiropractors who works with children. My kids came in yesterday and had an excellent chiropractic “tune up”. It just so happened that when Dr. Cote assessed her, she showed that her ribs and hips were in desperate need of a chiropractic spinal adjustment. Today I have a girl who’s got her spring back in her step and a little boy who’s nose and chest are much improved. Thank you Dr. Cote and all of our wonderful chiropractors in Mississauga at Erin Mills! At Erin Mills Optimum Health we pride ourselves on being a one stop shop for people interested in living life to the fullest in Mississauga. We allow you to approach the body from multiple angles and from multiple health professions in order to be your naturally healthy self. 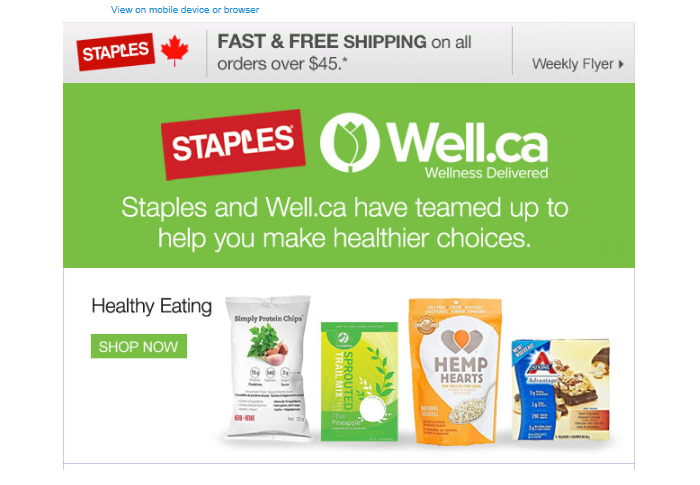 Recently, we received an ad from Staples, which we purchase many office supplies from. We laughed when we saw that they were getting into health supplies! It seems that they are expanding beyond what they are good at. We are very good at natural health and encouraging you towards your best health. We will keep focusing on being better at what we do best for you.